After closing 2017 on a strong note, 2018 seemed to be continuing on the same path. The growth of the company is showing and the hard work isn't slowing down. In 3 months, we accomplished a lot; From new brands, to finishing our remodel of our Serramonte Mall Location, upgrading the aesthetics of our second location, expanding our team, we are looking to continue to press the gas pedal. We are proud to introduce Kappa, a sportswear brand founded in Italy, that is trendy hype right now. Being an exclusive retailer for Kappa in Men's and Women's, we provide a selection that is better than most. From Track suits, to sweat suits, leggings for the women's to even crop tops, we got it all for you. Yes, you heard it right, Women's Kappa! We are excited to announce that Hidden Hype Boutique is now going to carry Women's street wear and fashion. We rolled in Women's with Kappa and are going to bring in a few more brands as well. Look out for the Stussy Women's we are going to roll in for April. It isn't going to stop there so stay posted as we announce more Women's street wear brands in the near future. Completing our Remodel was important. Going through the process was a great challenge and learning experience, but was definitely worth it. Our clients love the new look and we appreciate the kind feedback. 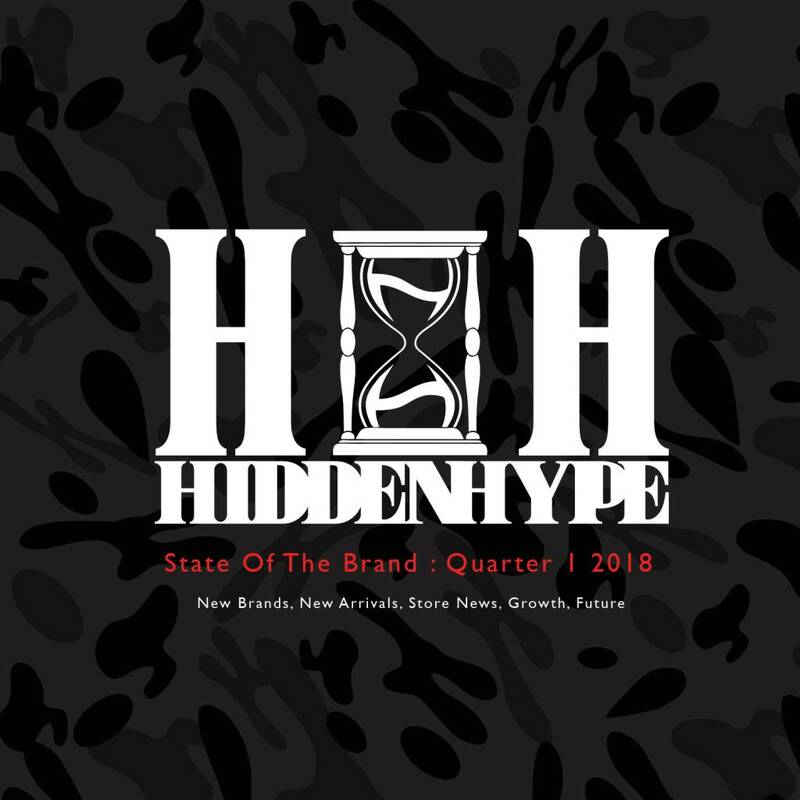 Hidden Hype went was once a T shirt company selling graphic tees to being the premier bay area street wear and fashion destination. If you haven't, you should visit our San Jose Oakridge Mall or our Daly City Serramonte Mall location and check it out. We look forward to having a chance at making you one of our many customers for life! Looking forward to an even stronger 2nd quarter and sharing exciting news. Stay posted because if you know Hidden Hype, you know we always are working on improving our business.